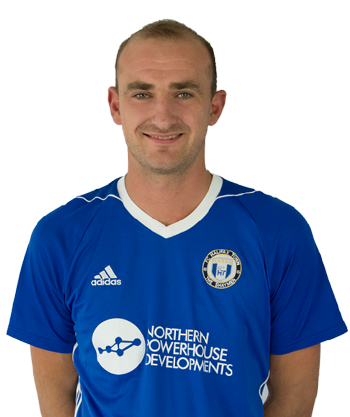 Home /Local Sport/Fans asked – would you keep Tom Denton? News broke today that National League North Clubs, Boston United and Alfreton Town have enquired about taking tall striker Tom Denton on loan for the remainder of the season. 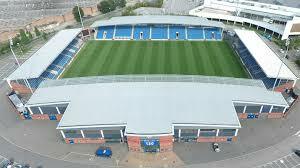 It seems that Denton has rejected the two opportunities to move out and wants to remain at The Proact in order to fight for his place. It’s fair to say that Tom Denton has divided opinion amongst Chesterfield fans. No one would doubt that hs is probably one of the slowest and most immobile strikers ever to wear a Chesterfield shirt. Despite this immobility, he has notched 10 goals… 8 of them in cup games, with only 2 scores in the National League. However, despite a modest return of league goals, amongst the fans, there appears to be a school of thought to suggest that keeping Denton would be wise, as he will be be a very useful impact substitute from the bench. There can be no question that, despite his immobility, Denton is very powerful in the air, winning most of his offensive and defensive headers and being a huge handful for defenders at set peices. Some fans would also fairly argue that the midfield and wing supply into Denton has been appalling and that he would have done markedly better with improved service into his path. Other fans comment that our game is too direct and predictable when he plays. It’s difficult to challenge both of these viewpoints but one of the major headscratchers for many fans and observers is that Sheridan has not, thus far, added to his midfield and wing options. The clubs lack of midfield creativity and guile stretches back to Gary Caldwell’s disasterous tenure and has never been fixed under three more managers since. As for Tom Denton the man, one has to have some sympathy with his personal predicament. Only a few short months ago, the likeable giant left his job as a plasterer for the chance to play full time professional football. Only a matter of months later, it seems Sheridan has already concluded that Denton’s future as a full time professional is doubtful and limited. It will be interesting to see if Denton keeps his place amongst the substitutes for this weekend’s game.